Spanning two continents, it’s no wonder that Istanbul is such a vibrant, inclusive city. 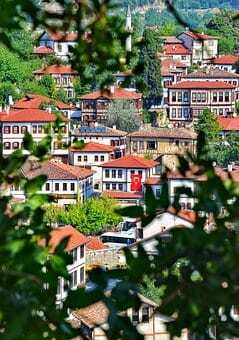 Once home to the Greeks, the Byzantines and then the Ottomans, the city has a rich history and this has permeated the arts and culture of the city. 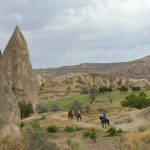 Split across Europe and Asia, both geographically and culturally, there is a huge diversity in the attractions of the city, leaving no traveller dissatisfied. This truly is a city with something for everyone. Here we’ve curated a list of our favourite things to do whilst in Istanbul. The city of Istanbul is divided by the Bosphorus strait, splitting the city between two continents – Europe and Asia. Being able to cross between continents is pretty cool normally, but at the Suada Club on Galatasaray Island in the Bosphorus, you are able to have a leisurely swim on the border between Europe and Asia. 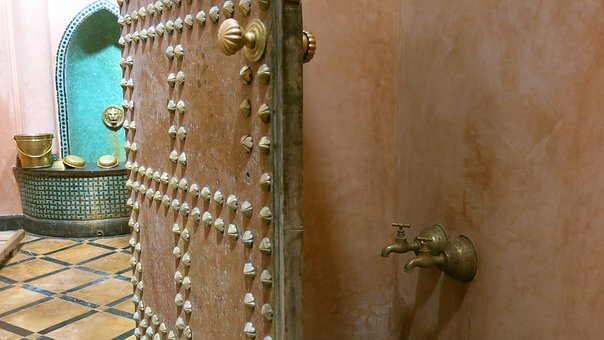 These Turkish Baths are a must-do activity in Istanbul. Similar to the Roman baths, but with more of a focus on steam, the hammam have been a part of Turkish culture for thousands of years. A traditional experience will include sitting in a steamy room, being lathered, massaged and washed by a professional masseur, then moving into a cooler room for relaxation. The Istanbul Modern is hosts a large collection of Turkish art as well as a well-curated, constantly changing programme of exhibitions featuring both local and international artists. Described by the New York Times as “the changing face of Turkey”, the museum is a major player in the Turkish arts scene and has helped to shape the bustling arts district of the Karaköy area. The museum also regularly features Turkish documentaries and films. The whirling dervish is one of the most iconic images of Istanbul but what are they? 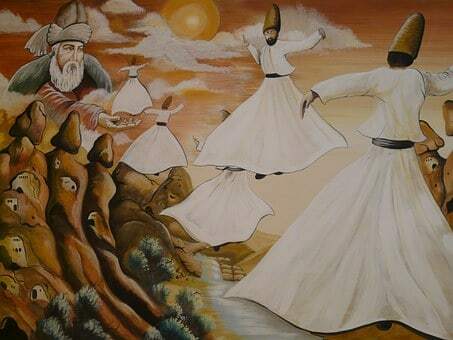 Sufi whirling is a form of meditation performed by Sufis that involves spinning themselves into a trance-like state in order to gain a closer relationship with God. Although this is still considered a religious ceremony, it has become an increasingly popular tourist attraction. It is an excellent way to experience Sufi spiritualism. The Topkapi Palace, the largest royal residence in Istanbul is a sight you cannot afford to miss. Once the main residence of the Ottoman Sultans, the palace holds more than 400 rooms originally the home of the Sultans’ many wives, concubines, children and extended family. Other attractions at the palace are the Harem – an adorned cage for the Sultan’s women and the crown jewels. Also not to be missed are the views across the Golden Horn and Sea of Marmara. 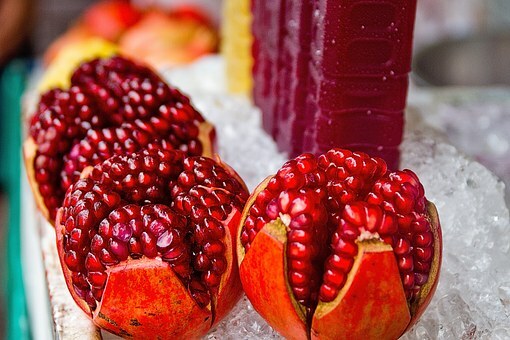 Take a small break at one of the street stands serving fresh pomegranate juice. The refreshingly tart yet sweet juice not only boosts a long list of health benefits, but it will be a perfect rest stop on your way to explore more of the city’s splendours. With more than 3,000 shops be careful not to get lost in the Grand Bazaar. Selling everything you could possibly imagine from spices to jewelry, souvenirs to silverware this is the perfect chance to try and grab a bargain – haggling is a must! The Blue Mosque – named after it’s breathtaking blue tile interior – is a perfect example of Classical Ottoman architecture. 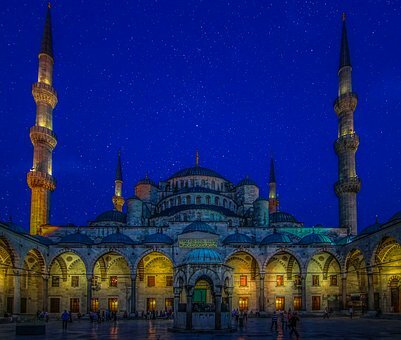 Featuring 6 minarets (the most for any mosque built at the time) and the largest courtyard of any Ottoman mosque, the Blue Mosque is a hugely popular attraction. Open 24 hours a day, visitors are allowed around prayer times, when the mosque is closed to non-worshippers. The International Istanbul Music Festival, held every year in June/July, is one of the biggest cultural events in Istanbul. 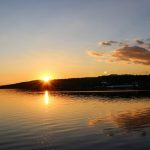 Boasting a number of world-class musicians, this festival of classical music and opera is quickly gaining a reputation internationally. And if the beautiful music wasn’t enough, the venues range from Byzantine churches and Ottoman palaces. Istanbul is a vibrant, wonderful city which is one of the reasons why we love being based here. For many of our clients, travelling for hair transplants in Turkey is their first opportunity to experience this cultural hub. If you are interested in a booking a consultation contact us here.